My first thought about Miller: We are leaving the EU just in time; our Supreme Court is going native — reading statutes like courts in European jurisdictions characteristically do, subordinating deliberate wording and clear legislative intent to a “fundamental principle” — indeed, one which as stated and applied had never before been heard of (and is undeservedly graced by the majority with the adjective “longstanding”). But then my second thought: No, our own courts do this sort of thing from time to time. Miller, more Parliament-minded than Parliament itself, is no more radically flawed than Liversidge v Anderson, more executive-minded than the Executive. The majority in Liversidge, like all the judges below, refused to read reg 18B of the Defence (General) Regulations 1939 as it was written, on the ground that doing so would not be realistic in wartime conditions, even though His Majesty in Council (enacting that regulation under the Emergency Powers (Defence) Act 1939, s. 1) wrote it in and for wartime conditions and could effortlessly have written a regulation of the kind the majority Law Lords thought realistic in wartime, by defining the precondition for the Home Secretary’s power of detention in terms such as “if he believes” or “is satisfied” or “believes he has reasonable cause” instead of what it did put: “has reasonable cause to believe”. So too, Parliament in 1972 could effortlessly have written the ECA so as to have the meaning and effect claimed for it by the majority. But Parliament plainly intended not to do so, and intended instead to leave in place our constitutional law in all its parts. Parliament could have written s. 1 ECA so as to authorize the Crown to ratify the Treaties, but — conspicuously to the trained eye at the time — chose not do so. Many statutes give effect to treaties by prescribing the content of domestic law in the areas covered by them. The 1972 Act does this, but it does considerably more as well. It authorises a dynamic process by which, without further primary legislation (and, in some cases, even without any domestic legislation), EU law not only becomes a source of UK law, but actually takes precedence over all domestic sources of UK law, including statutes. … in constitutional terms the effect of the 1972 Act was unprecedented. Indeed, it is fair to say that the legal consequences of the United Kingdom’s accession to the EEC were not fully appreciated by many lawyers until the Factortame litigation in the 1990s — see the House of Lords decisions in R v Secretary of State for Transport, Ex p Factortame Ltd (No 2)  1 AC 603 and (No 5)  1 AC 524. Under the terms of the Act of 1972 it has always been clear that it was the duty of a United Kingdom court, when delivering final judgment, to override any rule of national law found to be in conflict with any directly enforceable rule of Community law. That this had indeed “always been clear”, and that Factortame (No 2) did not represent a significant development (but rather a first occasion for applying a proposition of law introduced into our law by Parliament with open eyes in 1972), is confirmed by the Commons debates in June 1972 about whether or not to make express provision in the European Communities Bill to authorize Parliament (perhaps by some formula) to protect one or some of its future enactments, whether generally or in a specific instance, from s. 2(4)’s intended effect of making UK law, present and future, subject to EU law. That debate was resolved in favour of the view that it would be impolitic to give the public impression that the UK was preparing to override its Treaty obligations (EU law). But all those who participated were clear both that s. 2(4) had that effect and that — with or without the help or precondition of specified formula — a future Parliament could override s. 2(4) either generally or in a specific case, by enacting legislation clearly intended to do so. (The Merchant Shipping legislation declared inoperative in the Factortame litigation was clearly intended not to override EU law — was intended rather to test the ECJ’s interpretation of EU law — and no party to the litigation, least of all the Government, ever contended or admitted otherwise.) The idea that the Factortame litigation significantly developed our law is a sad misreading both of the enactment of the 1972 Act and of Factortame (1) and (2), fostered by excitable academics such as Sir William Wade. It should never have been adopted by our judiciary. Of course, consistently with the principle of Parliamentary sovereignty, this unprecedented state of affairs will only last so long as Parliament wishes: the 1972 Act can be repealed like any other statute. For that reason, we would not accept that the so-called fundamental rule of recognition (ie the fundamental rule by reference to which all other rules are validated) underlying UK laws has been varied by the 1972 Act or would be varied by its repeal. There is a vital difference between changes in domestic law resulting from variations in the content of EU law arising from new EU legislation, and changes in domestic law resulting from withdrawal by the United Kingdom from the European Union. The former involves changes in EU law, which are then brought into domestic law through section 2 of the 1972 Act. The latter involves a unilateral action by the relevant constitutional bodies which effects a fundamental change in the constitutional arrangements of the United Kingdom. one must reply: No, Parliament carefully set up the ECA precisely so that neither its ongoing importation of EU law nor the cessation of that importation by withdrawal would effect fundamental change in the UK’s constitutional arrangements; for it carefully both employed and left intact the constitution’s controlling rules and principles Parliament did so by adapting the long-established mechanisms for importing treaty provisions on an ambulatory, ongoing, from-time-to-time basis without having Parliament enact them itself — a kind of mechanism one can call a statutory conduit. The erroneous argument developed by the Miller majority in  and  is repeated, in substance, in , ,  and . What it overlooks is all the lawyerly work of Parliament in 1972. The whole point of the structuring of the ECA so as not to mirror an Independence Act was to show that while Parliament intended that, if we acceded to the Treaties, there would be changes in our arrangements for law-making and law enforcing, changes that might appropriately be called constitutional, but no change—let alone “far-reaching change” — in our fundamental constitutional arrangements, in the constitution’s controlling rules and principles. EU law with its self-interpretation as supreme over even constitutional national law was to be left outside — foreign — outside except insofar as our machinery imported it on the well-tried basis of treaty law dependent for its domestic application on the continuing fulfilment of two necessary conditions: 1. that Parliament has stipulated that the treaty as it exists from time to time, if at all, shall have domestic legal effect; and 2. that the Crown has brought the treaty into being and chooses to remain party to it. A. Long title: not “to make provision for and in connection with the inclusion of the UK in the EEC”, as in all contemporaneous Independence Acts, but just “in connection with”. B. No reference anywhere to EU law, but only to rights and obligations arising by or under Treaties — in conformity with the general intention of excluding the ECJ’s self-interpretation of EU law (including the Treaties) as independent and overriding of its own force. C. No provision to the effect that the UK shall join, or that accession is authorized or in any way provided for except as treaty obligations the fulfilling of which in our domestic law is made possible by s. 2(1) with 2(4) and 3(1). No date of entry. Everything left to the Crown, which could legitimately decide not to accede, and could (after joining) agree with other members to abrogate the Treaties in part or in whole. D. Section 1(3) leaves to the Crown the designation of what is and is not an EU Treaty beyond the list in s. 1(1) and Schedule 1. E. Rigorous avoidance of anything that would even seem to fetter the Crown’s prerogative of treaty-making and unmaking — of anything analogous to the statutory schemes (for compensation or for licensing) enacted by Parliament itself that were at stake in the executive action that was sought to be founded on the prerogative and was held ineffective to do so in, respectively, De Keyser (compensation), Laker Airways (licensing), and Fire Brigades Union (compensation). It is impossible to avoid the conclusion that those legislators and their draftsmen who constructed the ECA and saw it through Parliament had a grasp of our historic and living constitution and its rules that was richer, more subtle and more precise than the majority of our top judges 45 years later. It is a constitution in which the balance between legislative, judicial and executive power is beautifully adapted to the needs of a free people cooperating as a self-governing nation-state fit for acting, surviving and prospering in world history. Its executive is free to act on its own responsibility and initiative in dealings with the world outside our borders, answerable always to the legislature, the confidence of whose elected house it must always retain. It can introduce nothing into our law, whether by internal proclamation or external agreements, without the sufficiently expressed assent of Parliament. That assent may on occasion envisage and provide that legal rules and arrangements so introduced may be eliminated by executive agreement with foreign entities. The ECA certainly so provided in 1972, very recognizably using well-tried models developed over the preceding century. Showing little sign indeed of appreciating either this overall balance and its subtlety, or what was really going on in the constructing of the ECA, the majority in Miller has arrogated to the judges an unheard-of, needless power to invalidate that cooperation of executive and legislature in foreign affairs whenever litigants can persuade the courts that it makes too “fundamental” a “change” to be allowed without special legislation. Professor John Finnis FBA QC (Hon) is Professor Emeritus of Law & Legal Philosophy in the University of Oxford and Biolchini Family Professor of Law at the University of Notre Dame. Between 1972 and 1989 he was Rhodes Reader in the Laws of the British Commonwealth and the United States in the University of Oxford. In 2011, Oxford University Press published five volumes of his collected essay and a second edition of his magnum opus Natural Law and Natural Rights, and in 2013 a major Festschrift in his honour. Finnis was appointed Queen’s Counsel (honoris causa) in 2017. Based on notes for remarks prepared for the Administrative Law Bar Association seminar, Gray’s Inn, 23 February 2017. See also John Finnis “The Miller Majority: Reliant on European Perspectives and Counsel’s Failings” (Judicial Power Project, 25 January 2017). 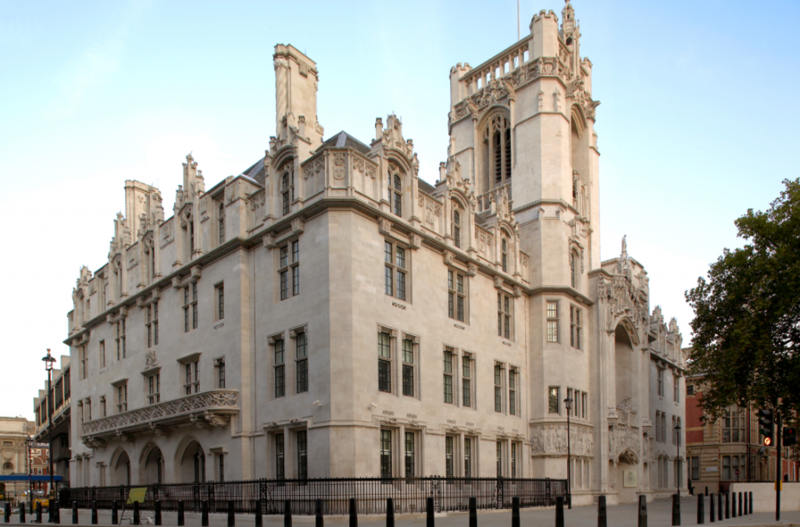 R (Miller) v Secretary of State for Exiting the European Union  UKSC 5;  2 WLR 583 (24 January 2017). This summarises the premises and reasoning employed by Lord Macmillan at 252-54, Lord Wright at 266-67, and Lord Romer at 280-81. Of course, consistently with the principle of Parliamentary sovereignty, this unprecedented state of affairs will only last so long as Parliament wishes: the 1972 Act can be repealed like any other statute. Moreover, it should not be conceded that the absence of express reference to future enactments in s. 497(1) and its successors precludes its potential to carve out an exception to future statutory provisions not plainly intended to override it or have effect notwithstanding it. R (HS2 Action Alliance) v Secretary of State for Transport  UKSC 3 at , per Lord Mance: “Under the European Communities Act 1972, United Kingdom courts have also acknowledged that European law requires them to treat domestic statutes, whether passed before or after the 1972 Act, as invalid if and to the extent that they cannot be interpreted consistently with European law.” R v Secretary of State, Ex p Factortame Ltd (No 2)  1 AC 603. That was a significant development, recognising the special status of the 1972 Act and of European law and the importance attaching to the United Kingdom and its courts fulfilling the commitment to give loyal effect to European law. See e.g. the speech of the Solicitor-General, Parliamentary Debates (House of Commons) 13 June 1972 cols. 1320-21. See Richard Ekins, “Legislative Freedom in the United Kingdom”, (2017) 133 Law Quarterly Review 582-605 at 585-90; and my “Reflections and Responses” in Robert George and John Keown (eds), Reason, Morality and Law: The Philosophy of John Finnis (Oxford: Oxford University Press, 2013), 559. The Miller majority judgment erroneously says in  that double-tax agreements require approval “by Parliament”. On the contrary: they need only a resolution of the House of Commons. See John Finnis, Terminating Treaty-based UK Rights (Judicial Power Project, 26 October 2016) and Terminating Treaty-based UK Rights: A Supplementary Note (Judicial Power Project, 2 November 2016). … it is unrealistic to deny that, so long as that  Act remains in force, the EU Treaties, EU legislation and the interpretations placed on these instruments by the Court of Justice are direct sources of UK law. The 1972 Act did two things which are relevant to these appeals. First, it provided that rights, duties and rules derived from EU law should apply in the United Kingdom as part of its domestic law. Secondly, it provided for a new constitutional process for making law in the United Kingdom. These things are closely related, but they are legally and conceptually distinct. The content of the rights, duties and rules introduced into our domestic law as a result of the 1972 Act is exclusively a question of EU law. However, the constitutional processes by which the law of the United Kingdom is made is [sic] exclusively a question of domestic law. One of the most fundamental functions of the constitution of any state is to identify the sources of its law. And, as explained in paras 61 to 66 above, the 1972 Act effectively constitutes EU law as an entirely new, independent and overriding source of domestic law, and the Court of Justice as a source of binding judicial decisions about its meaning. This proposition is indeed inherent in the Secretary of State’s metaphor of the 1972 Act as a conduit pipe by which EU law is brought into the domestic UK law. …the main difficulty with the Secretary of State’s argument is that it does not answer the objection based on the constitutional implications of withdrawal from the EU. As we have said, withdrawal is fundamentally different from variations in the content of EU law arising from further EU Treaties or legislation. A complete withdrawal represents a change which is different not just in degree but in kind from the abrogation of particular rights, duties or rules derived from EU law. It will constitute as significant a constitutional change as that which occurred when EU law was first incorporated in domestic law by the 1972 Act. And, if Notice is given, this change will occur irrespective of whether Parliament repeals the 1972 Act. It would be inconsistent with long-standing and fundamental principle for such a far-reaching change to the UK constitutional arrangements to be brought about by ministerial decision or ministerial action alone. All the more so when the source in question was brought into existence by Parliament through primary legislation, which gave that source an overriding supremacy in the hierarchy of domestic law sources. …we consider that, by the 1972 Act, Parliament endorsed and gave effect to the United Kingdom’s membership of what is now the European Union under the EU Treaties in a way which is inconsistent with the future exercise by ministers of any prerogative power to withdraw from such Treaties. by the 1972 Act, Parliament endorsed and gave effect to the UK’s future membership of the European Union, and this became a fixed domestic starting point. Lord Reed at  [his summary]: “the effect which Parliament has given to EU law in our domestic law, under the 1972 Act, is inherently conditional on the application of the EU treaties to the UK, and therefore on the UK’s membership of the EU. The Act imposes no requirement, and manifests no intention, in respect of the UK’s membership of the EU. It does not, therefore, affect the Crown’s exercise of prerogative powers in respect of UK membership.” It would have been clearer to say: ECA manifests a conditional intention that the UK accede — if and to the extent the Crown may choose. But his formulation is much better than the majority’s in  and  (n. 13 above). For the reasons given by the minority Law Lords, R v Home Secretary, ex p. Fire Brigades Union  2 AC 513 (though distinguishable) ought in Miller to have been argued to have been wrongly decided. The Miller decision obviously tends to cement Fire Brigades’ officious extravagance into our law, though of course the failure to challenge it leaves the Supreme Court the more free to reconsider it in future.